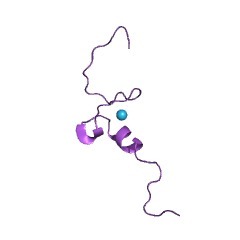 A20- (an inhibitor of cell death)-like zinc fingers. 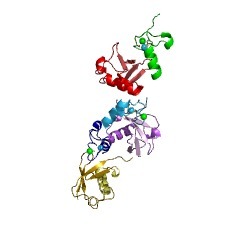 The zinc finger mediates self-association in A20. These fingers also mediate IL-1-induced NF-kappaB activation. 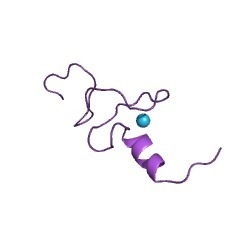 This entry represents the zinc finger domain found in A20. 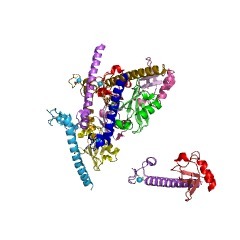 A20 is an inhibitor of cell death that inhibits NF-kappaB activation via the tumour necrosis factor receptor associated factor pathway [(PUBMED:17449604)]. 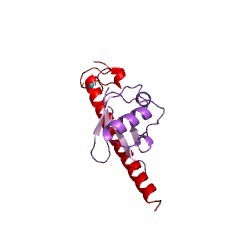 The zinc finger domains appear to mediate self-association in A20. These fingers also mediate IL-1-induced NF-kappa B activation. There are 3986 ZnF_A20 domains in 2065 proteins in SMART's nrdb database. Taxonomic distribution of proteins containing ZnF_A20 domain. This tree includes only several representative species. The complete taxonomic breakdown of all proteins with ZnF_A20 domain is also avaliable. Click on the protein counts, or double click on taxonomic names to display all proteins containing ZnF_A20 domain in the selected taxonomic class. The cytokine-inducible zinc finger protein A20 inhibits IL-1-induced NF-kappaB activation at the level of TRAF6. 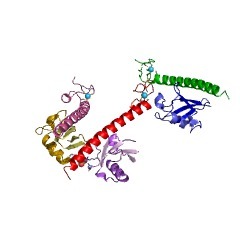 The zinc finger protein A20 is encoded by an immediate early response gene whose expression is induced by different inflammatory stimuli, including interleukin-1 (IL-1). Gene induction by IL-1 is mediated by activation of the transcription factor NF-kappaB, and requires the signal adapter protein TRAF6. The latter interacts with the NF-kappaB-inducing kinase NIK, which is believed to be part of the IkappaB kinase complex. Expression of A20 potently inhibits IL-1-induced NF-kappaB activation by an unknown mechanism. Inhibition of IL-1-induced NF-kappaB activation was found to be mediated by the C-terminal zinc finger-containing domain of A20. More importantly, we present evidence that A20 interferes with IL-1-induced NF-kappaB activation at the level of TRAF6, upstream of NIK. 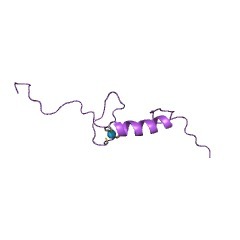 Moreover, A20 was shown to directly interact with TRAF6. 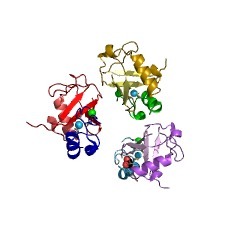 A20 is a primary response gene which is induced after monocyte adherence or cytokine stimulation of a variety of cells. 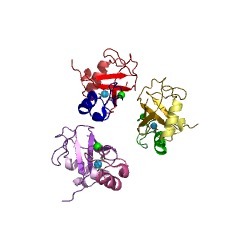 The A20 protein belongs to a novel class of Cys2/Cys2 zinc finger proteins, and has been characterized as an inhibitor of both apoptotic and necrotic cell death. In order to clarify its molecular mechanism of action, we used the yeast-based two-hybrid system to screen for A20-associated proteins. 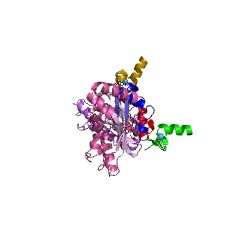 Here we report that A20 is able to self-associate, and demonstrate that the latter interaction is mediated by its zinc finger domain. The tumor necrosis factor-inducible zinc finger protein A20 interacts with TRAF1/TRAF2 and inhibits NF-kappaB activation. TRAF1 and TRAF2 form an oligomeric complex that associates with the cytoplasmic domains of various members of the tumor necrosis factor (TNF) receptor superfamily. TRAF2 action is required for activation of the transcription factor NF-kappaB triggered by TNF and the CD40 ligand. Here we show that TRAF1 and TRAF2 interact with A20, a zinc finger protein, whose expression is induced by agents that activate NF-kappaB. Mutational analysis revealed that the N-terminal half of A20 interacts with the conserved C-terminal TRAF domain of TRAF1 and TRAF2. In cotransfection experiments, A20 blocked TRAF2-mediated NF-kappaB activation. A20 also inhibited TNF and IL-1-induced NF-kappaB activation, suggesting that it may inhibit NF-kappaB activation signaled by diverse stimuli. 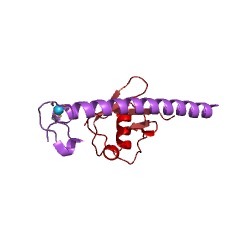 The ability of A20 to block NF-kappaB activation was mapped to its C-terminal zinc finger domain. 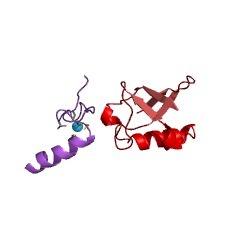 Thus, A20 is composed of two functionally distinct domains, an N-terminal TRAF binding domain that recruits A20 to the TRAF2-TRAF1 complex and a C-terminal domain that mediates inhibition of NF-kappaB activation. 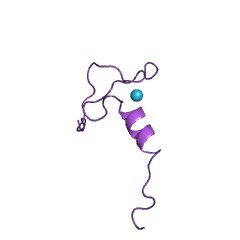 Our findings suggest a possible molecular mechanism that could explain A20's ability to negatively regulate its own TNF-inducible expression. We have previously identified in endothelial cells a gene product designated A20, that is rapidly and profoundly induced by tumor necrosis factor alpha (Dixit, V. M., Green, S., Sarma, V., Holzman, L. B., Wolf, F. W., O'Rourke, K., Ward, P. A., Prochownik, E. V., and Marks, R. M. (1990) J. Biol. Chem. 265, 2973-2978). Isolation of the full-length cDNA followed by sequence analysis has revealed that A20 codes for a novel zinc finger protein. 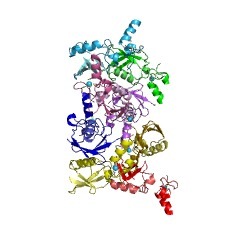 Structural features suggest that this putative protein, which contains multiple Cys2/Cys2 finger motifs, defines a novel class of zinc finger proteins. Southern analysis supports the existence of other members of the class.